The 20-year-old winger has started just 11 of his 18 appearances in all competitions for Lucien Favre's Bundesliga-leading Dortmund this season and has been linked with the likes of Chelsea, Liverpool and Manchester United. "As a manager those are the players you love to work with and it's more of excitement about how we can utilise him to the best of his abilities, because he's got amazing abilities," Berhalter told a conference call. "When you talk about him being able to play in the Premier League, you see he has the ability to unbalance a defence, he's very good technically, very good mobility, excellent shooting, can give a final pass. "I think he's the type of player you see in the Premier League now and that makes the Premier League such an exciting league." 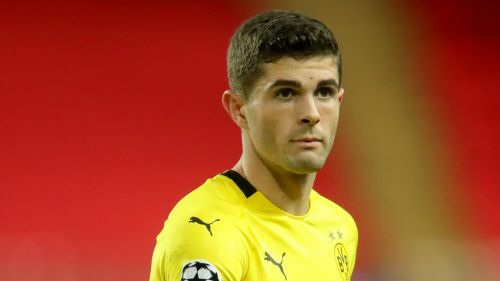 However, Berhalter said Pulisic's sole focus is on improving his game to a point where he forces himself into Favre's starting XI with greater regularity. "Every player has difficult periods. It's not a reflection of his quality, it's more a personal preference of the coach for this moment," he said. "I know he's very much in the plans there, I know he's working very hard to get more game time. He plays every single game virtually, although he'd want more game time. I think in the Champions League he's done a good job. "This is what will start defining people as players, when they get in these difficult situations how they come out of them. I love his attitude in dealing with this and I think he's going to be OK.
"When you're of that level and you're playing for such a talented squad, things like this are normal. He's hungry but patient. Speaking to him and knowing his attitude, it's a fantastic attitude based on, 'What can I improve to get on the field more?' That's the way he's looking at it. He works hard every day."